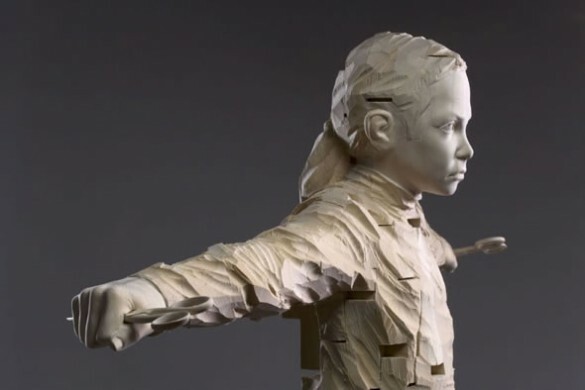 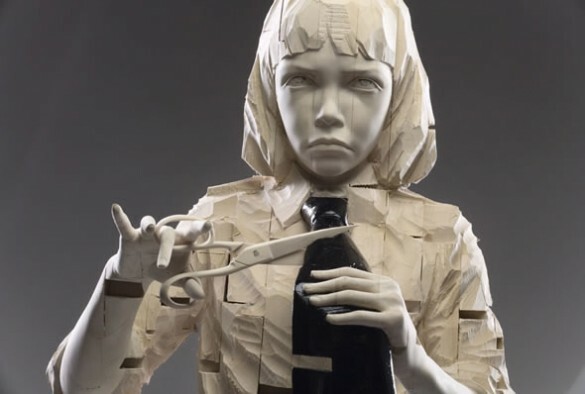 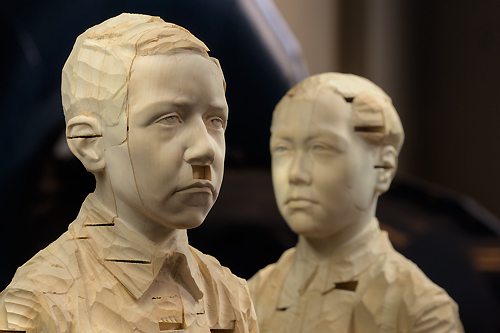 These woodcarvings by Gehard Demetz are frighteningly beautiful. 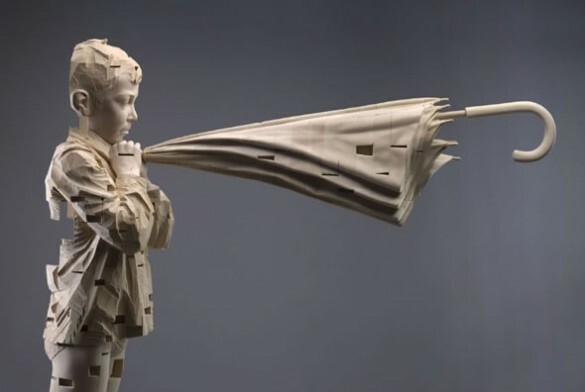 I am reminded of children of the corn meets a shattered imagination that took the form of deconstructed wood. 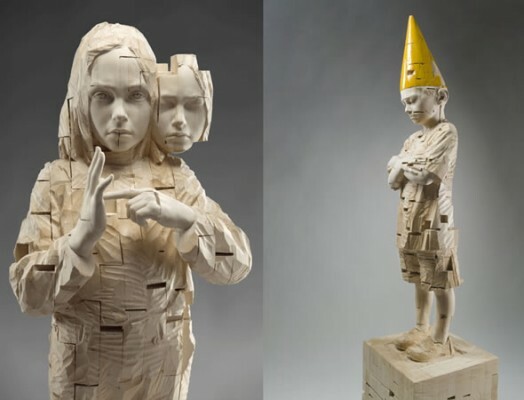 This German artist currently resides and works in Val Gardena. 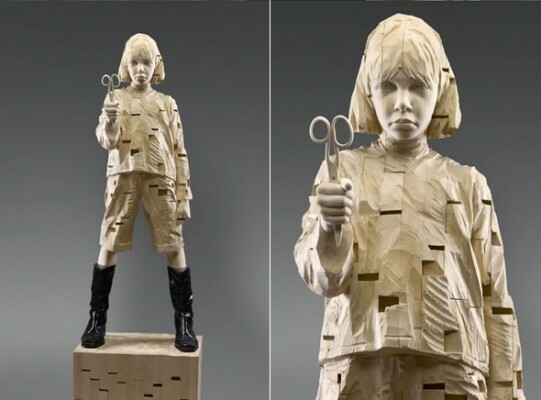 With a mini wooden Hitler and children sculpted with scissors and tape, these kiddies are far from striking your ordinary run of the mill poses. 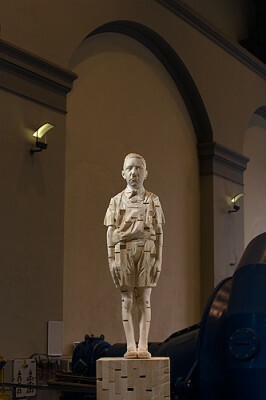 I commend Herr Demetz for thinking outside the box.